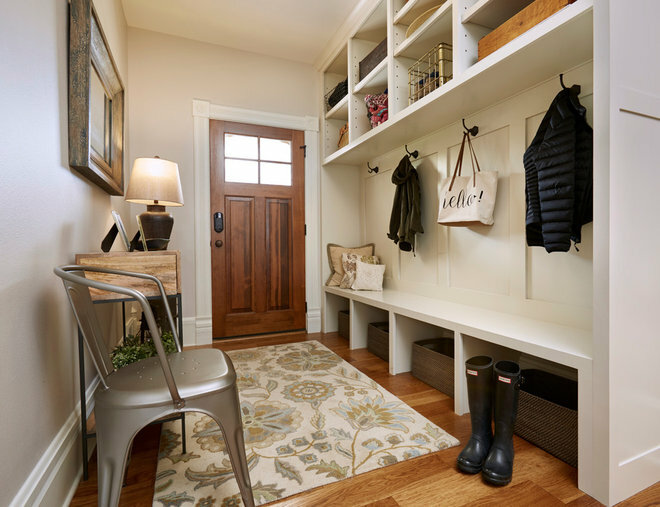 If you can corral keys, coats and bags as soon as you enter your home, you’ve won half the battle against clutter. 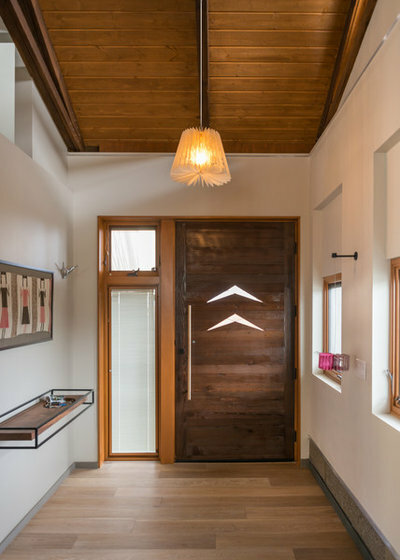 The following entryways offer three stylish takes on dealing with outerwear and gear at the most important threshold. 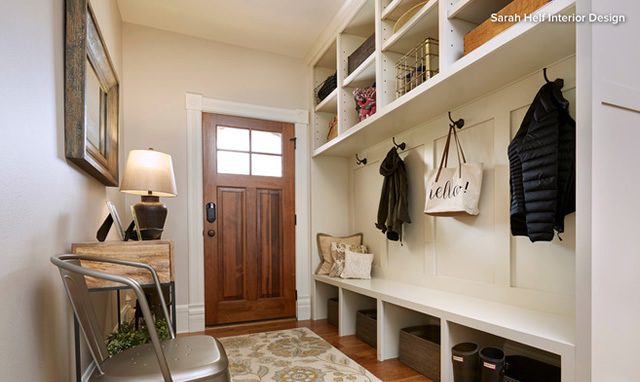 Homeowners’ request: A place to set down bags, put on shoes and hang up beach towels when coming in through the garage or from the pool, and make it fun and functional for children and grandchildren. Special features: Custom built-in storage with mahogany bench. Beadboard panels. Shelf. Coat hooks. Why the design works: “The built-in is stylish and functional, but the whole space works because of the details. Adding special touches to an area of the home that is used so often, but is often overlooked, really makes this space inviting,” designer Shannon Willey says. Homeowners’ request: A bright, sunlit home with lots of windows and skylights and open floor space in which one of the homeowners can move comfortably in a wheelchair. Special features: Custom floating shelf provides a spot for keys and mail while keeping the floor space open. Hooks for coats and bags. Open space for shoes. Boomerang-shaped windows in door. Extra-long metal door handle. Warm wood ceiling.